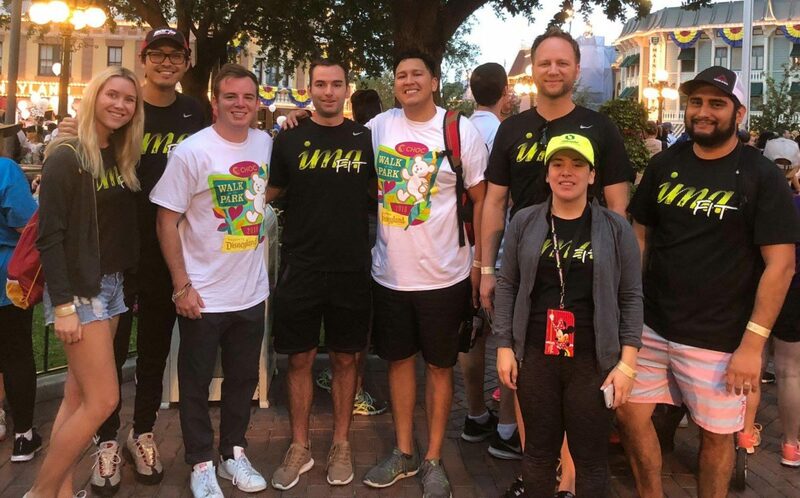 The imaFit Team walked a fun-filled, high-energy, Disney-themed 5k at the 2018 CHOC Walk in the Park at Disneyland Resort on August 26, 2018. 14,000 people participated in the walk, with excitement brewing as early as 6:15AM during the opening ceremony on Main Street USA, featuring characters from Pixar's The Incredibles on stage. Throughout the walk, Disney princesses, heroes, and villains alike were out and about, greeting and congratulating all of the fundraisers for their hard work and dedication to CHOC Children’s. With all proceeds benefiting the Children’s Hospital of Orange County, the CHOC Walk alone raised $2.2 million this year. We would like to thank our gracious individual sponsors, Sarah Castellanos, Nikki Wilbur, Katie Gladding, Courtney Johnson, Cindy and Toney Dudley, and Rick Ruotolo for their generosity. It is not too late to donate – the team pages are open for donation until September 26, 2018. Click to visit the imaFit CHOC Children's page.